and Steve Otis, NYS Assemblyman. Rye, NY Alfred Weissman Real Estate (AWRE) broke ground on The St. Regis Residences Rye, the world’s first St. Regis Residences property to operate without a hotel. 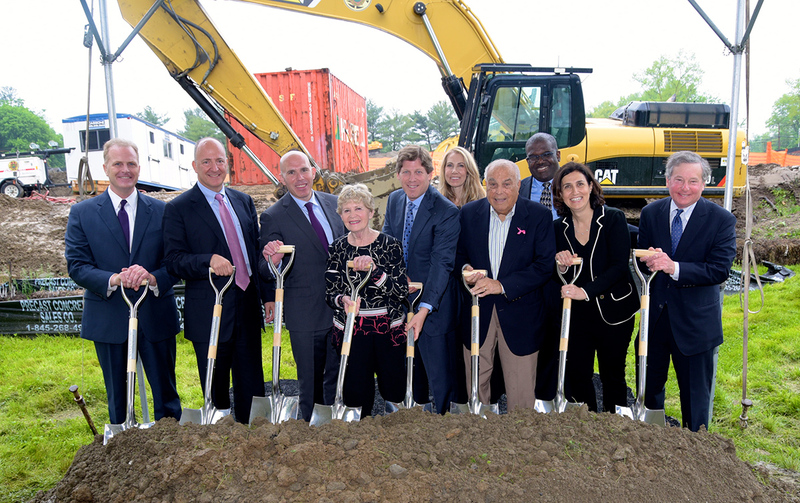 NYS, Westchester County and city officials joined executives from AWRE and Marriott International, owner of the iconic St. Regis hotel brand, to celebrate this milestone and the official start of construction. Guests were treated to a traditional champagne sabering by the director of food and beverage from the historic St. Regis New York hotel, where this ritual is performed nightly. The $100 million development, located at 120 Old Post Rd., will include 95 condominium residences ranging from one to four bedrooms located within five, three to four-story buildings constructed above an underground garage. A three-story commercial office building, once the headquarters of Dictaphone, previously operated on the site. The project team includes: Lender: RXR Realty; architect of record, Perkins Eastman; interior designer, Forrest Perkins; landscape architect: Wesley Stout Associates; planning/civil engineer: Divney Tung Schwalbe; construction manager, Hudson Meridian Construction Group; exclusive sales agent, The Marketing Directors; and creative/media agency, RODE NYC. Situated on seven beautiful acres, The St. Regis Residences Rye will feature gated entrances, lushly manicured gardens and courtyards, walking paths, and heated underground parking. Residents will enjoy 25,000 s/f of amenities that include an attended lobby, a fitness center and exercise studio, an indoor pool and wellness complex, numerous lounges and entertaining spaces, two suites for guests of residents and a fifteen-seat screening room. 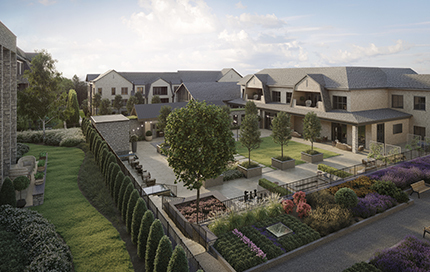 At the center of the community will be an impeccably landscaped courtyard – complete with lounge areas, water fountains and fire pits - where residents will be free to relax, entertain and socialize. Additionally, a host of luxurious services will be available to residents, meticulously delivered by a full-time St. Regis staff seeing to every detail. These include full-time property management, valet parking, package and mail delivery, concierge services and doorman and porter services. “We look forward to managing The St. Regis Residences Rye and delivering the signature services of the St. Regis brand to owners and their guests,” said John Hearns, VP, global residential operations for Marriott International. The Marketing Directors will be managing the sales of the residences, which are expected to begin in the fall.